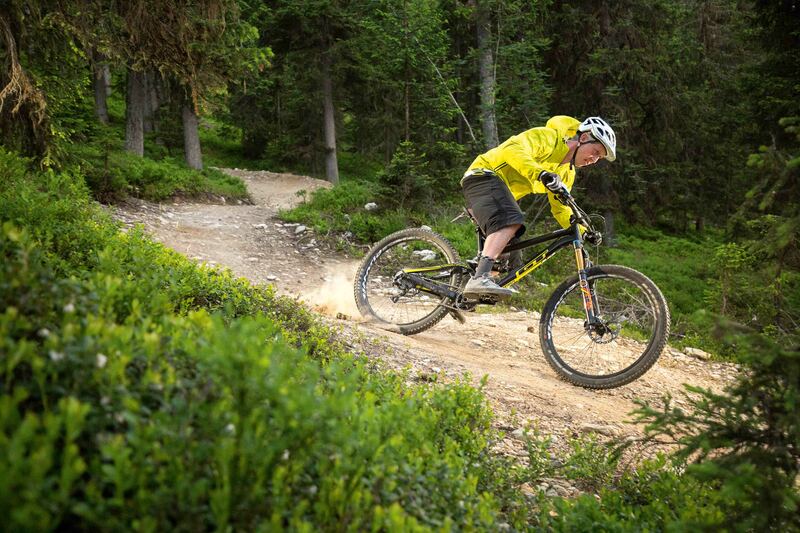 Promises better versatility than XTR at a fraction of the cost. Reliable chain retention, slick shifting, stiff cranks, powerful, easy-to-service disc brakes, shockingly good value for money. 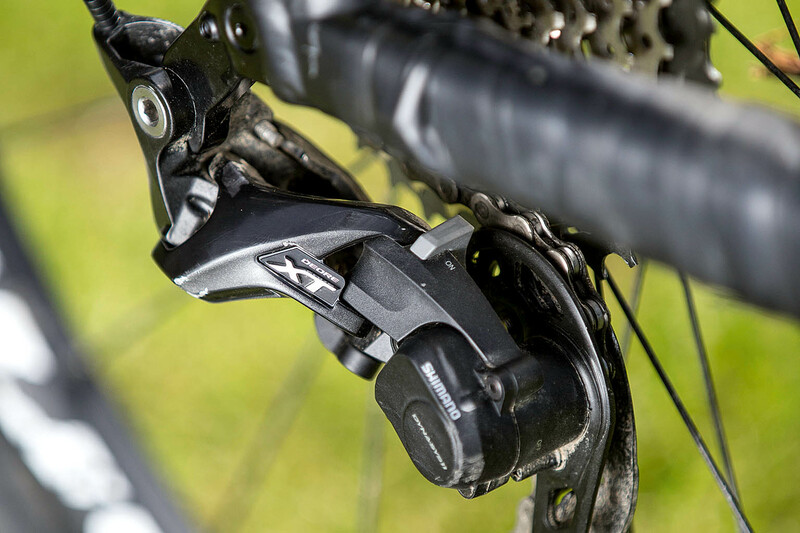 >>> Shimano XT: better than XTR, cheaper the SRAM? Two months ago, Shimano called asking if I could send a frame to its UK distributor, Madison. 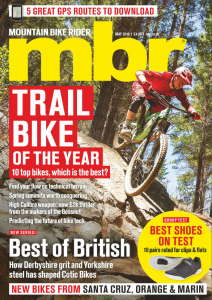 It would be built up with a 2016 Shimano XT groupset and shipped out to the French Alps where we’d be reunited for several days of big mountain hammering. If it could handle the kind of demanding terrain found out there, then surely it can deal with anything in the UK. A lot of the features of new XT are outlined in our web story so I’m going to cut to the chase and talk about my first ride impressions. 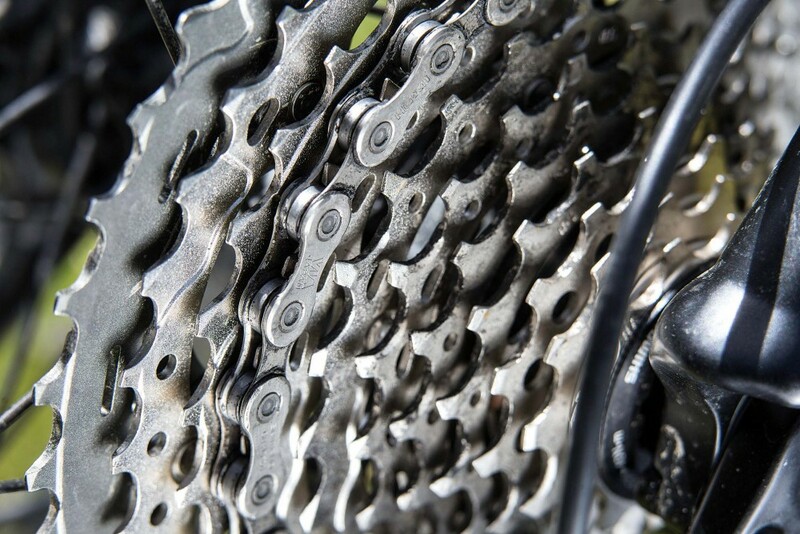 With XT, I reckon there are two questions every rider wants the answer to: has Shimano solved the problem of chain retention, and does the 11-speed cassette offer a wide enough gear range? Let’s begin with the subject of drivetrain security. There were five journalists and three Shimano guys on this trip, and not a single rider lost a chain during four days of riding. Like XTR, XT uses Shimano’s Dynamic Chain Engagement design, utilising a deeper tooth shape with a retaining hook machined into the leading edge. This DCE technology is very subtle, but it works. It remains to be seen how wear will reduce effectiveness but, to improve durability, Shimano uses a two-piece stainless steel/carbon construction, which it claims should last three times as long as plain aluminium. When Shimano launched XTR 1×11, one of the early criticisms was that the cassette wasn’t as wide ratio as SRAM’s offerings. New XT has two cassette options — 11-40t (like XTR) and a wider range 11-42t. It’s still not as wide as SRAM’s 10-42t, but the question you have to ask yourself is: do you need a 10t sprocket? You might, but I didn’t, even in the Alps. I was only able to test the 11-40t cassette (the 11-42t is not available until the end of August) but the closer ratios meant I never found myself churning along one minute and spinning madly the next. The Shadow Plus derailleur also seems to work better, and for 2016, now has external clutch tension adjustment. There are still some unknowns, mostly to do with durability. I have no idea whether the retention performance is going to drop off as the chainring wears; only a winter’s worth of riding will reveal that. Muddy, slippery trails will also tell me whether the gearing on the 11-40t cassette is too stiff for my ageing legs, and I’ll have to bail out on to the 11-42t. I’ve done enough Alpine riding to know that any component not up to the job will come back in a box. My bike stayed out there for a few more days, ridden by one of our freelancers, and apparently he had no issues with the chainring, gearing or overall performance. SRAM may have introduced the first dedicated 1×11 drivetrain, it may also be lighter (we’ve not had weights for a complete XT groupset yet) and have a wider range cassette. But for me Shimano’s key advantage is its price. 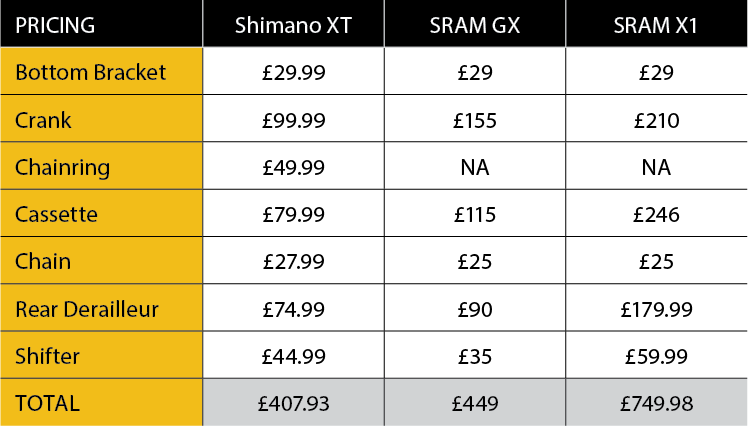 You only have to look at the comparison below to see the 2016 XT groupset is an absolute bargain.